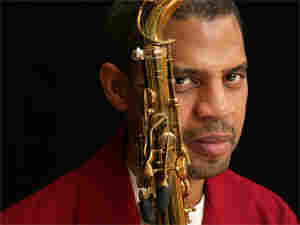 Steve Wilson: A First-Call Saxophonist Wilson is one of the finest saxophonists in the business: He's what musicians label a "first call" player. If you have a session coming up and you want great alto and soprano sax work, Wilson is your man. Hear Wilson's musicianship on display as he visits the KC Jazz Club at the Kennedy Center in Washington, D.C., with his new band called Wilsonian's Grain. 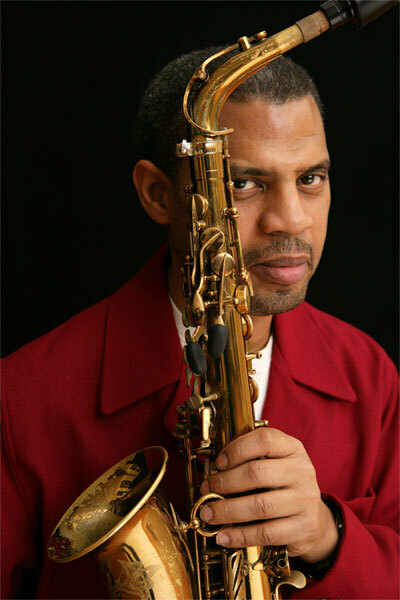 Steve Wilson is one of the finest saxophonists in the business: He's what musicians label a "first call" player. If you have a session coming up and you want great alto and soprano sax work, Wilson is your man. Many have called; Wilson has played on more than 100 albums, and he's a key member of Grammy-winning groups such as the Maria Schneider Jazz Orchestra, Dave Holland Sextet and Chick Corea's Origin. Wilson grew up in Virginia and earned a music scholarship to Virginia Commonwealth University in Richmond, where he performed and studied with Lionel Hampton, the Heath Brothers and Ellis Marsalis. Eventually, the saxophonist made his way to New York and hooked up with some other talented young up-and-comers in the O.T.B. (a.k.a. Out of the Blue) band, organized by Blue Note records. Wilson is also a member of the all-star ensemble Blue Note 7, which is celebrating the 70th anniversary of the label in 2009. Recently, Wilson advised University of Maryland students to "think of yourself as more than a jazz musician; be versatile and skilled — not just as an improviser, but as a musician who can perform in a variety of settings." Wilson's own approach depends on his musicianship, on display during a visit to the KC Jazz Club at the Kennedy Center in Washington, D.C. Here, the saxophonist steps out with his new band, Wilsonian's Grain, which features pianist Orrin Evans, Ugonna Okegwo on bass and Bill Stewart on drums — all long-time friends. Wilson typically supplies the music: "Tap Dancer" is rhythmic and quirky, while "Spot It" is more sweet. Other tunes such as "Chrysalis" and "Ms. Angelou" are meditative, featuring Wilson on soprano with Evans on a Fender Rhodes electric piano. Finally, "Step Lively" makes clear what happens if you don't watch the closing doors on the New York City subway. Credits: Thanks to Kevin Struthers and Jean Thill of the Kennedy Center, as well as field producer and writer Mark Schramm; mix by Duke Markos with Big Mo Recording, Greg Hartman and Sean Owen.